SEO audit is the process of scrutinizing a number of things in order to determine what factors are working in the favor of website and what are making things bad. LACEY, Wash. - Dec. 19, 2016 - PRLog -- SEO audit is the process of scrutinizing a number of things in order to determine what factors are working in the favor of website and what are making things bad. However, the process should be flawless, accurate and thorough in order to get a deeper insight. Here are few things that you need to take into consideration. The type of audit is basically associated with the type of action you want to do. There are a few methods or types and each one is described as under. · The first type is about the determining overall effectiveness and health of SEO process. This SEO audit lets you know about your current position as compared to the standard position that denotes success in the niche. The red flags like increase in bounce rate, lesser dwelling time and referrals are also analyzed in the process. With the help of this audit type, you can get to know about the potential problems that may not be hurting at the moment but could be harmful in the future. · Checking for penalties is very much important. The type of SEO audit we are talking about is basically associated with the analysis that can help us determine if out SEO still includes bad practices. It's worth remembering that best practices of SEO don't remain the same for a long time. It means that a practice that would have been the main tool to get on the top of ranks may now be the very reason for a website being destined for degradation. · The third type is about checking where your website stands in the competition. Although the SEO health audit may touch a few areas in this regard but that would be a generalized audit, which doesn't necessarily address all of the outstanding issues related to position of the website in the market. Hence, a deeper insight is very much required, and it is possible with the help of competitive audit. Or, according to a different scenario, if the industry your website belongs doesn't have proper benchmark, the competitive SEO audit can help you to set a better standard. That would surely make you a sort of industry leader. · SEO violations are a norm in the digital marketing. However, it doesn't mean that these issues can be ignored. In fact, the penalties are awarded as a result of violations and those penalties can get hard to revoke. 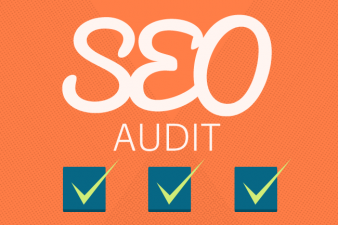 The SEO audit to check penalties or negative attacks is required to check the level of violation your SEO may be doing. There are two ways you can conduct Indianapolis SEO (http://www.guitar-chord-helper.com/2016/09/24/healthcare-...) audit. You can either do this audit by yourself if you have necessary know how about auditing or you can hire an agency. Hiring an agency is obviously the better choice unless you have deep knowhow about conducting an audit.